The first half of November has been a whirlwind for Maghalie Rochette. 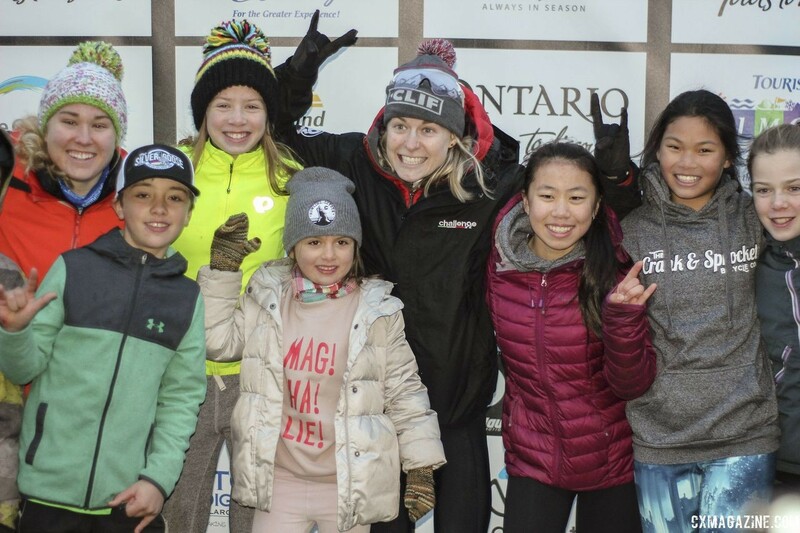 The month started with the two biggest races of her season thus far in Ontario and then continued with racing an ocean crossing away in the Czech Republic and Switzerland. Rochette’s first big race was the Pan-American Championships in Midland. 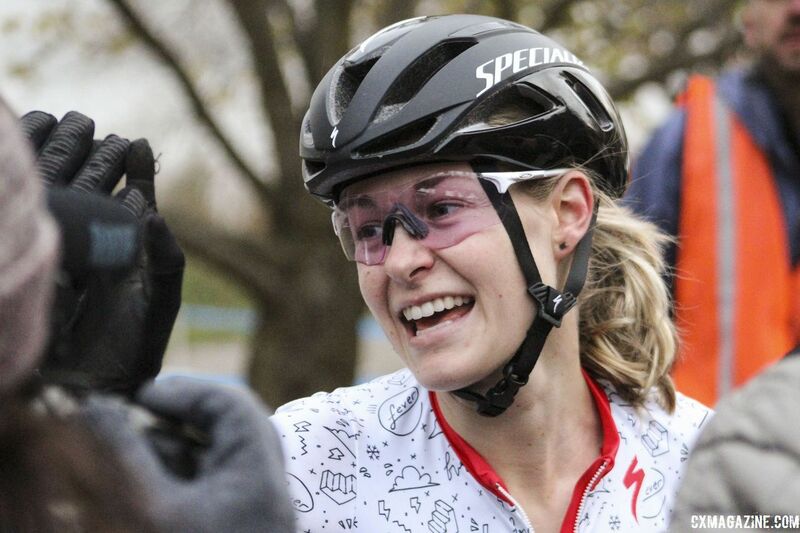 Rochette won the jersey as a U23 racer, but she headed to Ontario hoping to become the first Canadian Elite to win the Continental Championship. 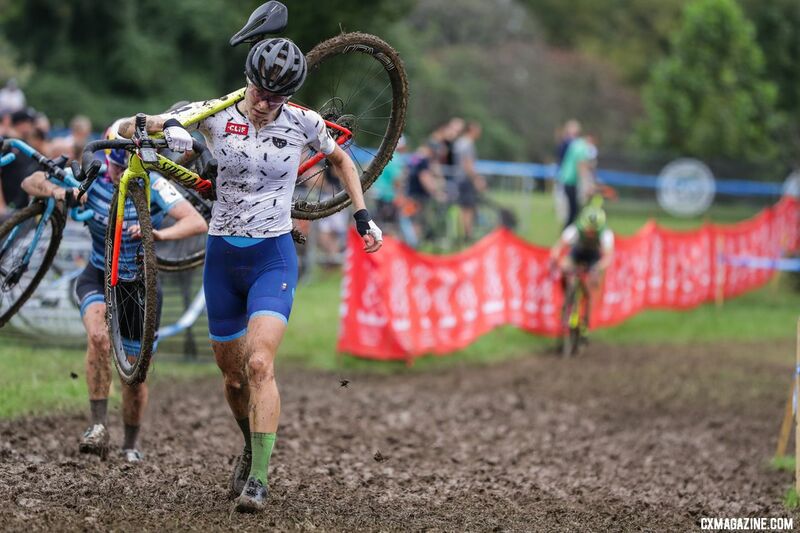 Likely standing in her way would be Ellen Noble, who entered Pan-Ams on a seven-race winning streak that included that Saturday’s Silver Goose CX UCI C2. With Noble and Rochette evenly matched in both power and technical ability, fans in Midland were expecting a good one. Rochette got the best of the race at Pan-Ams by attacking after Noble crashed shortly before the bell. Urged on by the cheers of the Canadian fans, Rochette secured Canada’s first Elite Pan-Ams win. 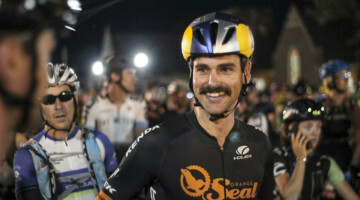 After winning Pan-Ams, Rochette had little time to celebrate. After a seven-hour “celebratory” drive home, she had to prepare for Canadian Nationals in Peterborough. 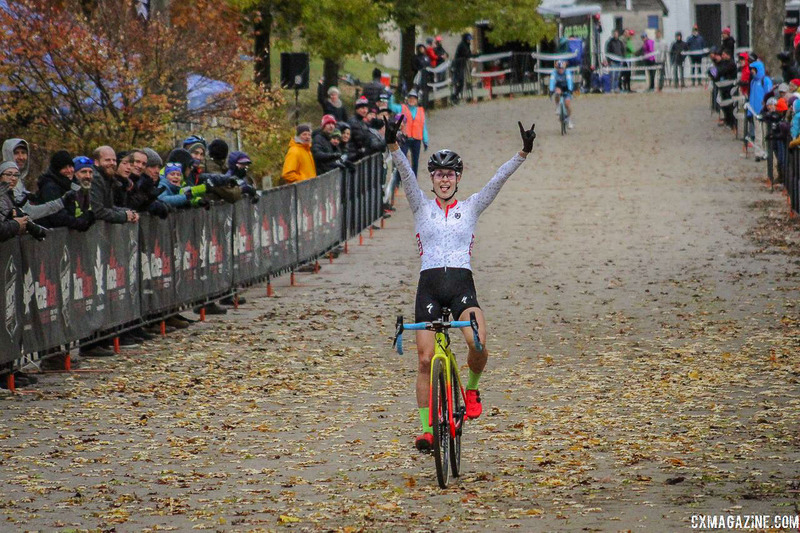 Rochette won Elite Nationals in 2016, but last year in Sherbrooke, Christel Ferrier-Bruneau beat her out for the Canadian Champ’s jersey. 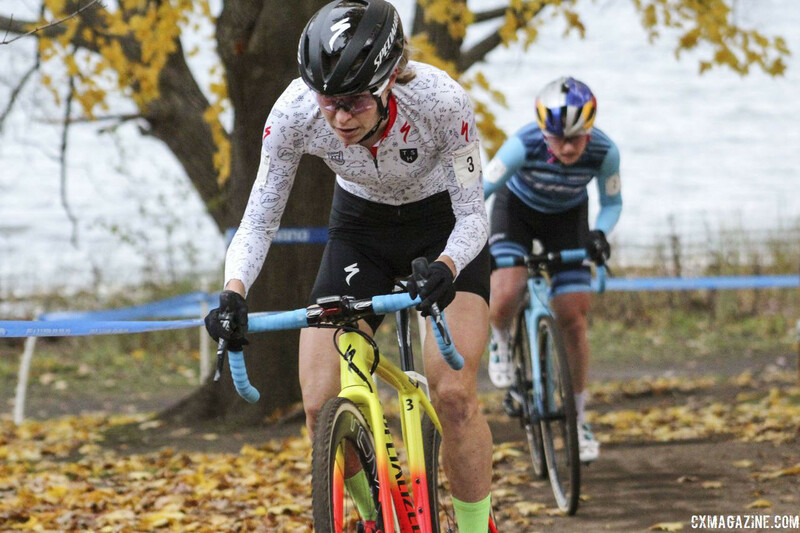 With Ferrier-Bruneau not racing this year, Rochette entered as the favorite, but as she would be the first to tell you, anything can happen in cyclocross, especially on a snowy, icy day like the one two Saturday’s ago. Rochette won the race and added a second jersey to her collection for her coming European campaign. The day after returning home from Canadian Nats, Rochette and her partner David boarded a plane and headed to the Czech Republic for World Cup Tabor. 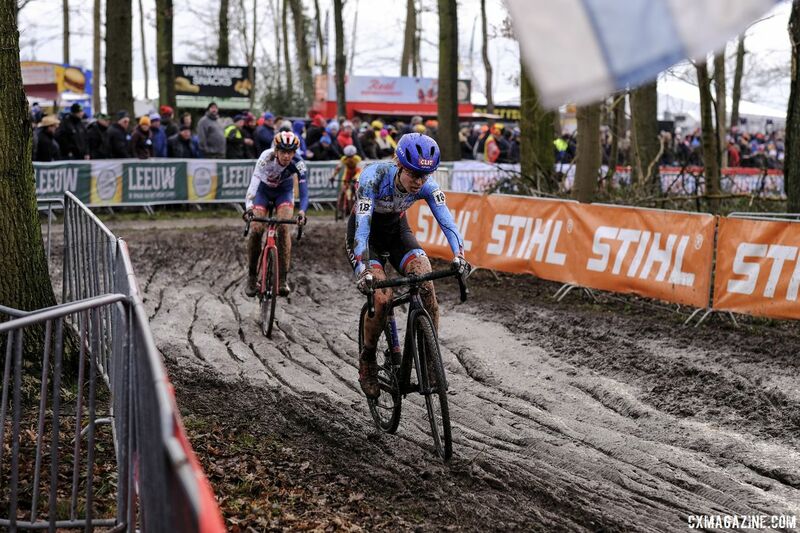 Rochette will be in Europe for the rest of the season, trying to gain as much experience as she can and maybe giving the Euro ’cross peloton a bit of CX Fever. We chatted with Rochette about her whirlwind month at Pan-Ams, Canadian Nats and her first week in Europe. 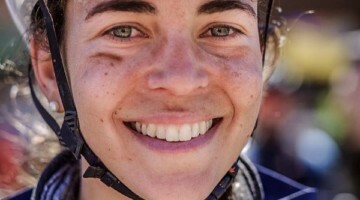 Cyclocross Magazine: Starting with Pan-Ams, we were all looking forward to the battle with Ellen. Were you expecting the same? Maghalie Rochette: I was definitely expecting the battle. But Katie was also on my wish list, let’s not forget she won a World Cup this year. 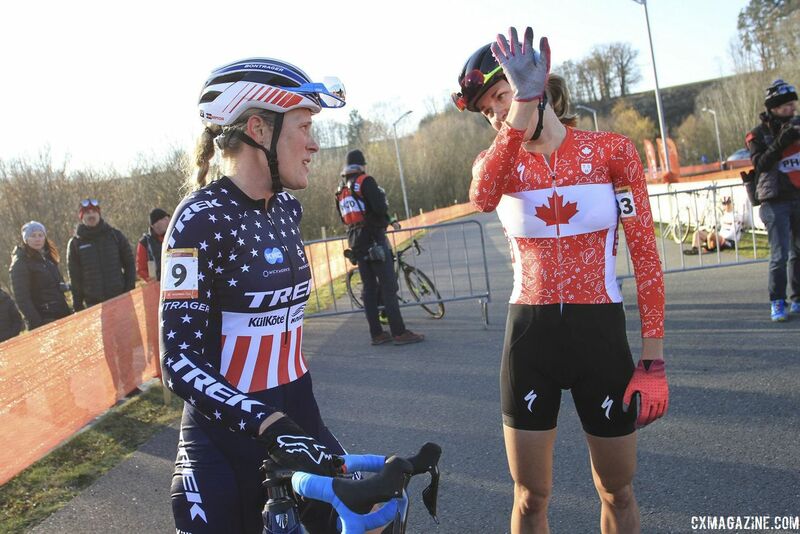 We’ve had a few battles this year and although I hadn’t been racing Ellen for a few weeks before Pan-Ams, I could see she had been on a roll and had won many of the events she participated in. I was looking forward to a tough battle. CXM: You and Ellen seem to be very evenly matched—strong and skilled—what has it been like trying to beat her knowing that? MR: It’s been great. As you said, we are pretty evenly matched and I think we are about 50-50 this year in the races we’ve done together. I think it’s cool because we bring the best out of each other. We have to learn to push some sections, learn to be smart and wait at other times. The tactical skills are at play now, it’s not just about grinding it out from start to finish. I really believe it makes me a better rider. Hopefully she can say the same! 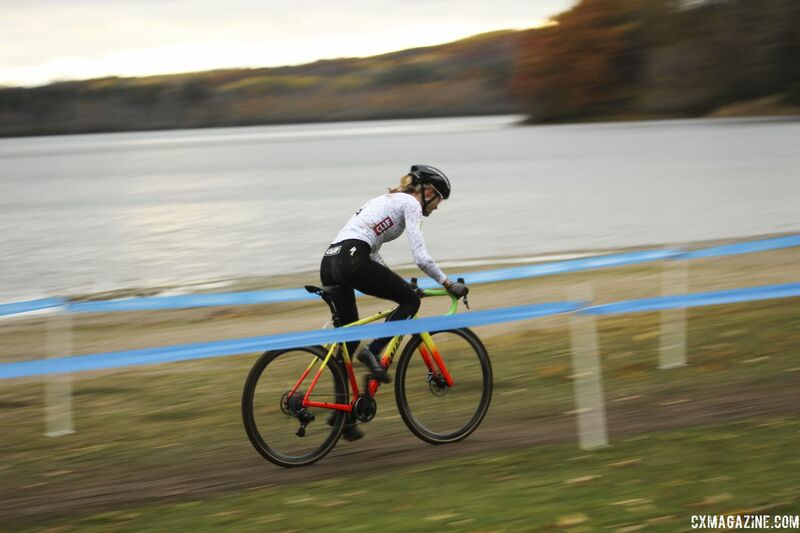 CXM: How much did what happened Saturday at the Silver Goose CX C2 affect how you raced Sunday? MR: I think it affected me positively. I had not been racing in about two weeks and maybe I was a bit rusty, racing-wise. I had been training hard at home but hadn’t been racing. I think I was just impatient on Saturday and made some mistakes–crashed, dropped my chain, started chasing, flatted. So on Sunday, I knew I had to be patient and not make stupid passes or stupid mistakes. I also had three of the five fastest laps on Saturday, so it gave me confidence that I had what it took to take the win if I didn’t do anything dumb. By Sunday morning, the cobwebs were out of the way and I was ready to race and felt confident. CXM: Did you feel any extra pressure to win in front of the home crowd? You were popular that day! MR: I didn’t feel extra pressure. I think people want to see a good battle, they want to see athletes giving everything they’ve got, and I was prepared to do that. I can’t control the outcome, I can only control what I do and I wanted to do my best. I already put enough pressure on myself and it took me a while to be able to deal with it, so I don’t really want to worry about outside pressure. However, I must say I really enjoyed the energy of people out there. It was super cool to hear them shout my name! CXM: It seems like Pan-Ams has become a massive deal to you and your peers. Why is winning the race so important to you? MR: I believe it’s because it is a Championship, and I guess it’s always a big deal winning a Championship. It’s cool when you get to wear a distinctive jersey, especially when you go out racing in Europe and you get to represent where you come from. 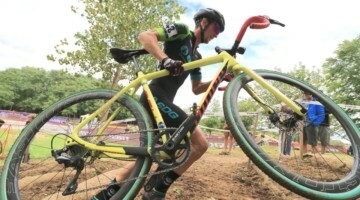 CXM: After winning Pan-Ams you had to turn around and race Nats the next weekend. How did you keep focused after the emotional high of winning Pan-Ams? MR: Heh heh, good question! I just tried to not get too high, which helps you to never get too low. David—my partner, mechanic, coach—and I drove seven hours back home, straight after Pan-Ams and that was our celebration of the win, so it was pretty mellow. David always says that good or bad, all you have do is assess what was good, assess what was bad, learn from it, and get back to work. So the next morning we woke up and went for a run. We also had to prepare the house because the day after Nationals we were leaving for three months in Europe. So the week was busy and we didn’t really have any time to celebrate. That was probably a good thing. CXM: We were bummed we missed seeing Nats. How did you manage the snow and ice in Peterborough? MR: I loved it! It was so cool because the conditions kept changing, so you really had to be adaptable and constantly assess the changes and ride accordingly. I love that. It’s one of my favourite things about ’cross. Honestly, I had so much fun trying to figure out the course lap after lap in pre-ride and during the race. It was just great. On top of that, snow at Canadian Nationals? It just fit perfectly. CXM: After finishing second last year, did you learn anything from that race that helped you this year? MR: Oh yes I did! I was so bummed and mad at myself last year. Christel was riding really well, and I wasn’t the smartest. I think the single thing I learned the most about last year’s race is that to win a race, you don’t have to ride in front the whole race. You only have to cross the finish line in first place. That was a big learning experience for me. It taught me to be patient and be more confident in all my abilities, rather than just hope I could outpower someone who rides on my wheel for 45 minutes. That’s not realistic at the level we are at. Everyone is strong and you have to be smart and use all your abilities to win a race. CXM: What does your Euro schedule look like the rest of the year? Which races and series should we look for you at? MR: I haven’t been able to commit to any series since I was in North America for the first part of the season. I’ll jump in a bunch of different races, depending on who wants to give me start contracts. I want to do some of the bigger Belgian races. I’ll do some of the Superprestige and DVV. I’ll do some EKZ races. My main focus will be the World Cups, but I want to take the opportunity to be here to race a lot. I guess I’ll target the races that are the most competitive because I came here to learn, and I believe that is the best way to learn. CXM: Now that you’re over in Europe, which jersey are you planning on wearing at the races in Europe? MR: Right now I have only received the National Champion jersey, so I’ll wear that one for now. But Tenspeed Hero is designing the Continental Champion jersey right now, so once I’ll have it, I think I’ll have fun and change it up from time to time. CXM: What are you looking for from the rest of the season? Any goals we should keep an eye on? I came to Europe to gain experience and to help me reach the next level as a cyclocross racer. I believe that racing with the best on a regular basis is the best way to learn, so I’ll take advantage of that. I want to take chances, see if I can hang at the front of the biggest races. I mean, I’m here, so might as well take advantage of it! A big goal of mine is to finish on the podium of a World Cup. Winning a big European races would also be pretty awesome. On another note, I also want to take in the culture. I want to experience cyclocross training in the training forests with the Europeans teams. David and I also have a goal of finding a setup that works for us here. That means creating contacts, finding the best place to stay and stuff like that.. That’s a big part of racing in Europe, and we want to work on it so that when we come back, it can help make our lives easier. CXM: Thanks for your time. We look forward to watching you the rest of the season.